Hoping for vast improvement of your Isuzu interior design? Dash trim kits for Isuzu are produced by us for that exactly purpose. The new look of your car depends on what pattern and material you`ll choose. 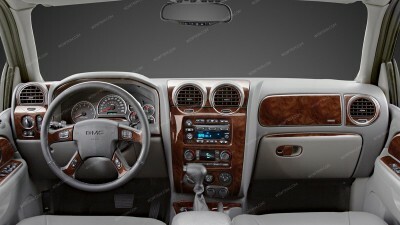 Wowtrim offers real wood and wood grain interior dash kits to add luxury but aluminum, camouflage & carbon fiber ones for a more daring image of your vehicle! Isuzu Trooper 1995, 1996, 1997, 1998, 1999, 2000, 2001, Interior Dash Kit, With Automatic Transmission, 22 Pcs.